Have you got questions about our offices or our services? We do our best to answer. We’re located at 735 Victoria St in downtown Kamloops, right across from the Memorial Arena! Yes! We have free parking right outside our clinic! 3. Do you take walk-ins? Yes, our practitioners can take walk-in appointments (assuming there is space in the schedule for the appointment). 4. Are you a walk-in clinic? While we do take walk-in appointments for our practitioners, we are not a walk-in clinic. If you’re looking for an appointment with a medical doctor, there are several walk-in clinics located around Kamloops. 5. Do I need a doctor’s referral for treatment? No referral is necessary, unless you are a member of the RCMP or Veterans Affairs. 6. Are your practitioners registered? Yes, everyone practicing in our clinic is registered. 7. Do you bill benefits directly? We are not set up to bill patients’ benefits directly at this time, and cannot access your specific coverage. Your receipt for treatment will include any information you need to submit to your benefits provider. Everyone’s path to recovery is different. Your practitioner(s) will work with you to find the right treatment plan. 9. Why can’t I pay for everything in one transaction?  Part of the benefit of coming to our clinic is having numerous practitioners under one roof. However, the way our office is set up requires each practitioner to be paid separately. This means that when you pay for your treatment(s), the money is going directly to the practitioner(s) you saw, so each treatment type has to be paid separately instead of in lump sum. 10. Do I need to get undressed for my treatment? Depending on which type of treatment you are receiving, you may be asked to remove certain items of clothing or to wear a medical gown. Direct skin contact is typically required for acupuncture and massage, and may be necessary in other treatments as well. The practitioner will guide you based on your treatment and which areas of the body are involved. For acupuncture treatments, you will be provided with a gown, and will be directed as to how treatment will be received. Of course, our patients’ comfort is of the utmost importance to us. If you have any questions or concerns, please let us know! 11. Will I be sore after my appointment? Depending on your treatment and/or condition, you may experience some degree of discomfort during or after your appointment - everyone is different. After-care instructions will be addressed by your professional, and may include icing, stretching, etc. 12. Do you have voicemail? Yes, we have voicemail! Our answering service is always on, but it does take a lot of rings to reach it, so please be patient. The clinic is closed for lunch from 12:30 pm – 1:30 pm on weekdays, during which time the phones are not answered.